Eligible: Faculty, Staff, Students, University Depts. Support: Monday - Friday. 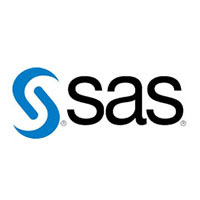 9:00 a.m. - 5:00 p.m.
SAS software is an integrated system of software products which enables programmers to perform information retrieval and data management, report writing and graphics, statistical analysis, econometrics and data mining, business planning, forecasting, and decision support. It also provides operations research and project management, quality improvement, applications development, data warehousing (extract, transform, load), and platform independent and remote computing. Faculty, Staff, Students, and University Depts: The University of Miami has entered into a site license for SAS Educational Analytical Suite. It can be downloaded onto any University owned machine or personal owned machine. SAS Educational Analytical Suite is only to be used for Teaching and Research purposes only. SAS University Edition: SAS University Edition is free online access to the SAS software for students for learning statistics and quantitative methods. SAS University Edition contains Base SAS, SAS/STAT, SAS/ML,SAS Studio, and SAS Access. SAS University Edition can be downloaded directly from SAS and runs on PC and Mac. SAS University Edition can be installed on any Personal or University owned machine. SAS Ondemand for Academics: SAS Ondemand for Academics is the SAS software for teaching and learning data management and data analysis. This allows faculty members to include their entire class to have access to all of the SAS features included in SAS Ondemand. This software cannot be downloaded and can only be used via the internet in the SAS Cloud. SAS Education Analytical Suite Faculty/Staff & Departments: Click here to download University of Miami's SAS suite. To receive a copy of SAS Education Analytical Software, please email the software team at: software@miami.edu. Students: To have the SAS Educational Analytical Software installed on your computer, please visit the Student Technology Help Desk located in the Richter Library, room 325.